Ortofon have been on tour, across the country, and joined us for a series of exclusive events geared towards vinyl playback. 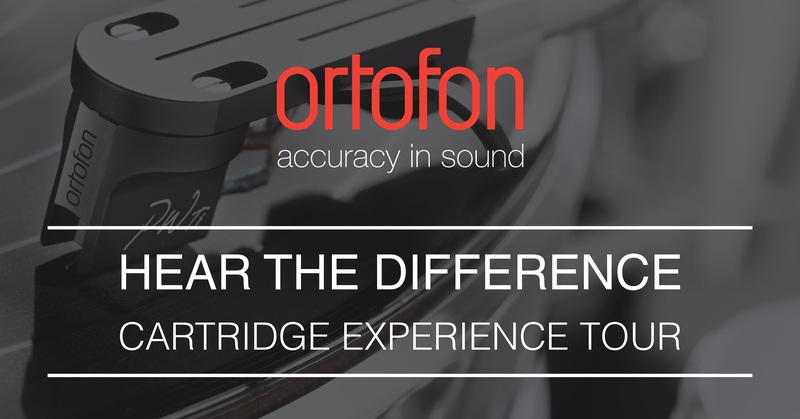 The Cartridge Experience Tour took us on a journey through the Ortofon range, starting with the 2M Red at £95.00 and climaxing with the new high-end MC Windfeld Ti at £3,100.00. During the events, we learn’t more about Ortofon – the world’s oldest and most respected manufacturer of phono pick-up cartridges – and the importance of cartridges in a vinyl hi-fi system. The presentation covered the various stages in each Ortofon product series, explaining the difference between Red, Blue, Bronze and Black cartridges across the 2M, Quintet and Cadenza models. The event ended with an extended playback of the new £3,100.00 MC Windfeld Ti cartridge, representing the very best sound you can achieve from a good vinyl hi-fi system.